The Khiladi Kumar of Bollywood has never failed to impress the audience through his films. Either with his power dialogues, the intense romance or the mind blowing stunts, Akshay Kumar does it all by himself! 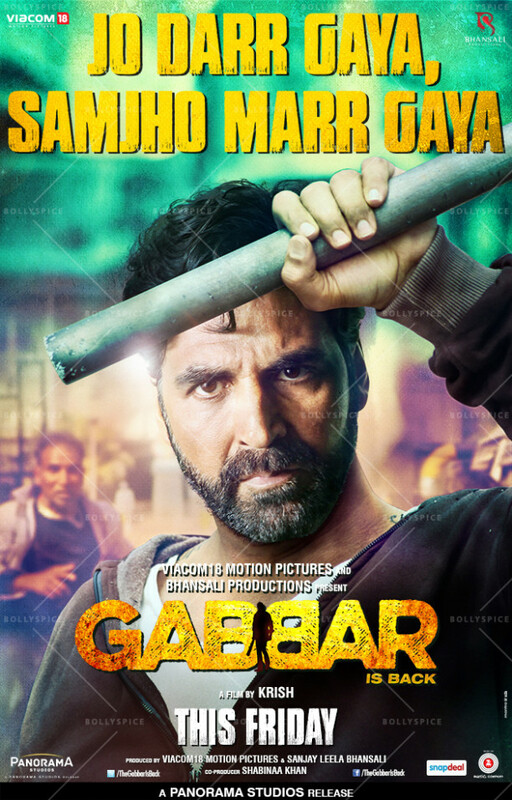 Popularly known for delivering the most difficult stunts with ease, the actor shows of his sleek martial arts moves, fight skills and his abilities as a prankster in a brand new behind-the-scene video from his latest film Gabbar Is Back. The video also shows Akshay in a mischievous and funny mood as he pranks his crew members continuously making them laugh while shooting for all the high octane action sequences. Gabbar Is Back is directed by famous director from the South, Krish and produced by Sanjay Leela Bhansali and Viacom 18 Motion Pictures. Featuring Akshay Kumar and Shruti Haasan, the film is slated to release on May 1, 2015. 15 queries in 0.395 seconds.